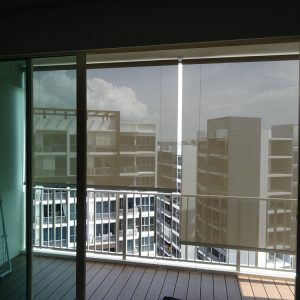 Outdoor roller blinds should be able to withstand two types of intense Singapore weather conditions: heat and dampness. 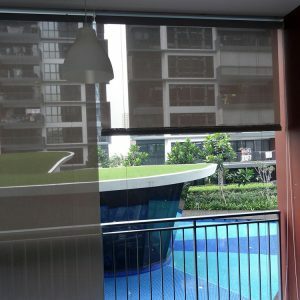 If you find that your outdoor living space is one of these extremes: too hot, too bright, too cold, too wet or too windy, then you need to consider installing outdoor blinds. Your al fresco space is meant to be enjoyed. And to do that, perhaps it’s time to invest in top-notch, high-quality outdoor blinds. Invest in premium quality blinds that effectively protect against harmful UVA/UVB rays, while keeping you warm and dry during heavy rains. 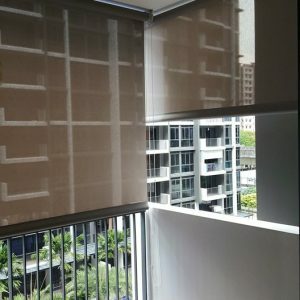 mc.2 offers a range of outdoor blinds – from traditional outdoor blinds to smart outdoor zip blinds – solutions that fit every budget, yet are well worth the investment. 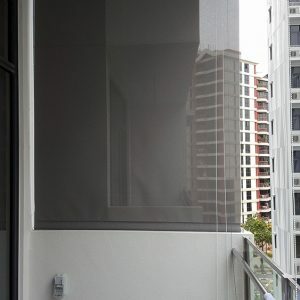 Our smart outdoor zip blind solution also allows you to operate its movement via remote devices such as apps, remote controllers or even sensors. 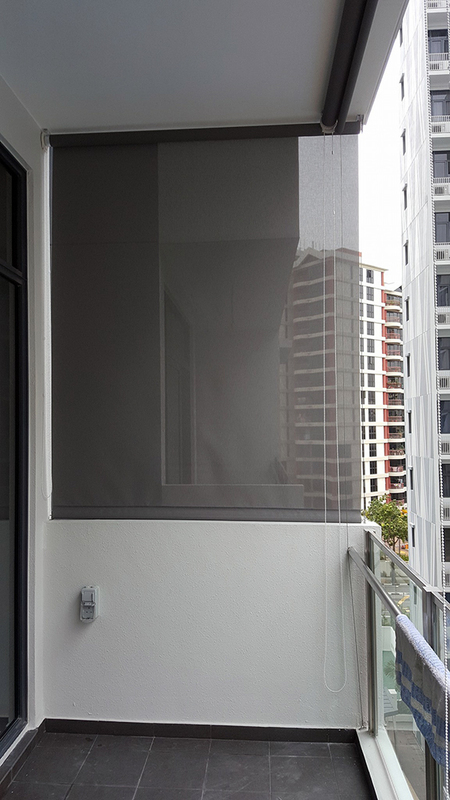 Outdoor living space has become a crucial component in most Singapore house designs. Although built for easy entertaining under natural lighting and fresh breeze, there are circumstances when you would have to augment your outdoor space to make your family and guests more comfortable. And that is where outdoor blinds come in. 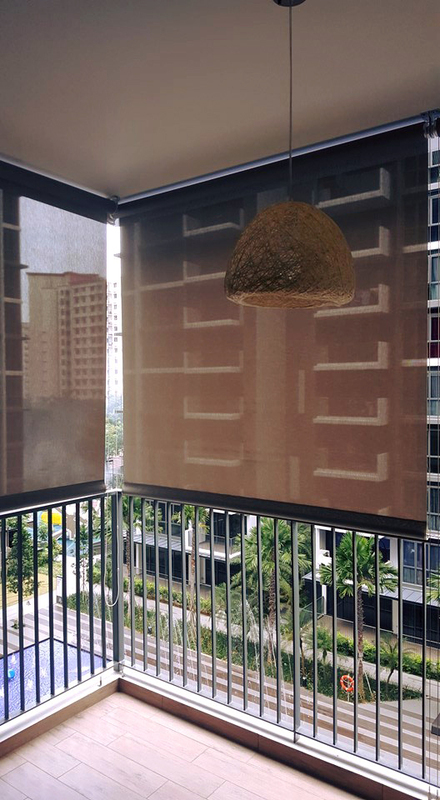 Outdoor blinds repel insects and filter debris and dust particles, thus you spend less time dusting and vacuuming your space. 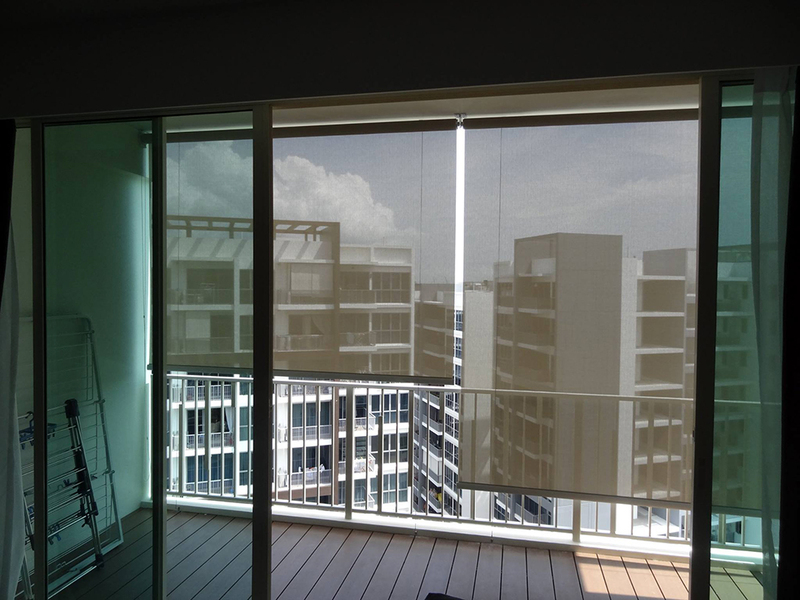 Outdoor blinds also maintain just the right level of natural light and temperature. 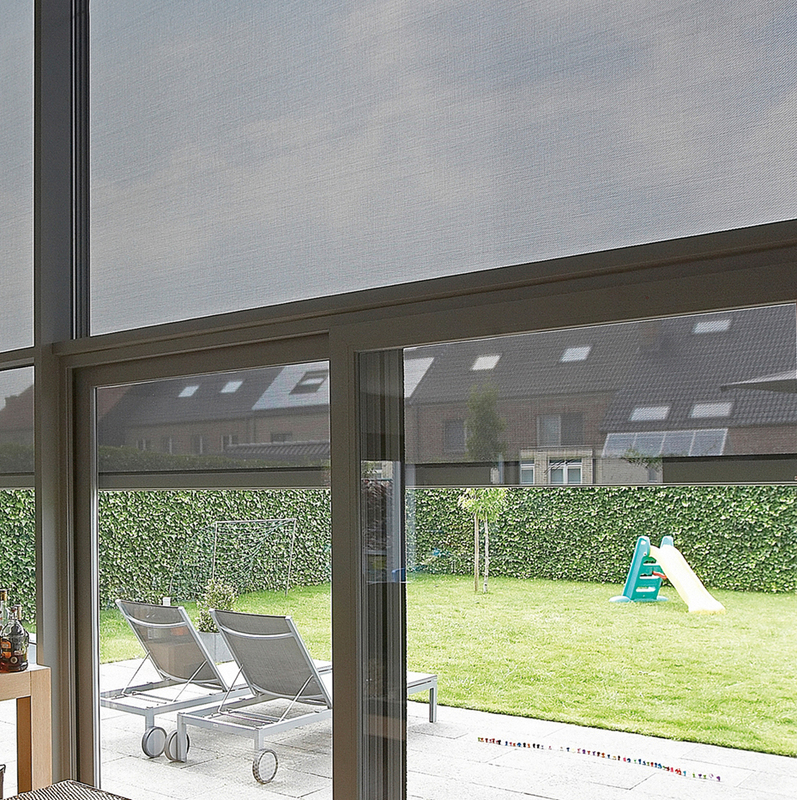 Outdoor blinds protect you from the sun’s harmful UV rays, drizzles and cold draughts. 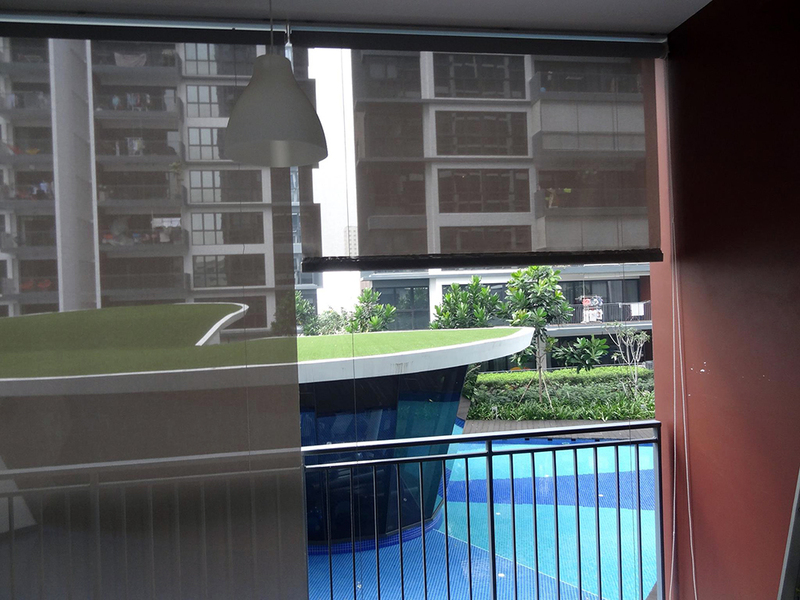 Our outdoor blinds are made of durable materials, with impressive wind resistance and waterproofing. 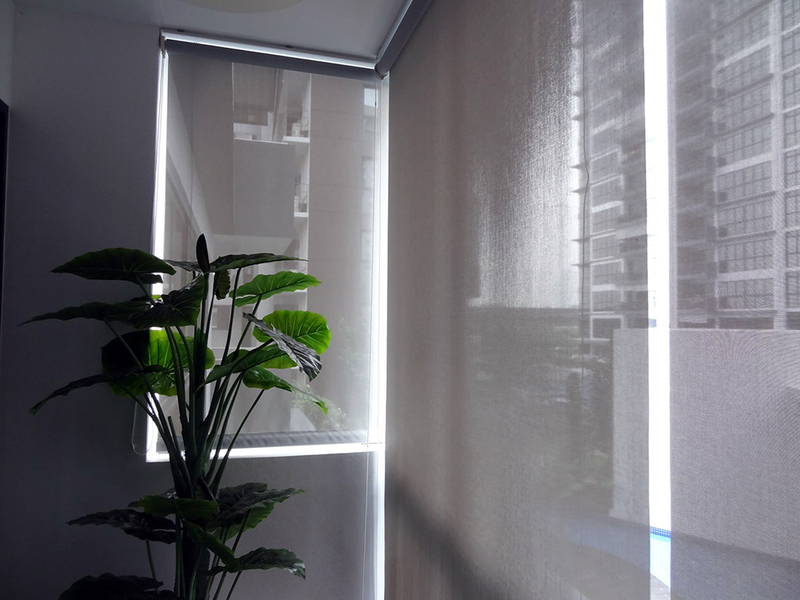 Motorised blinds with rain sensors offer added convenience without sacrificing overall aesthetic appeal. 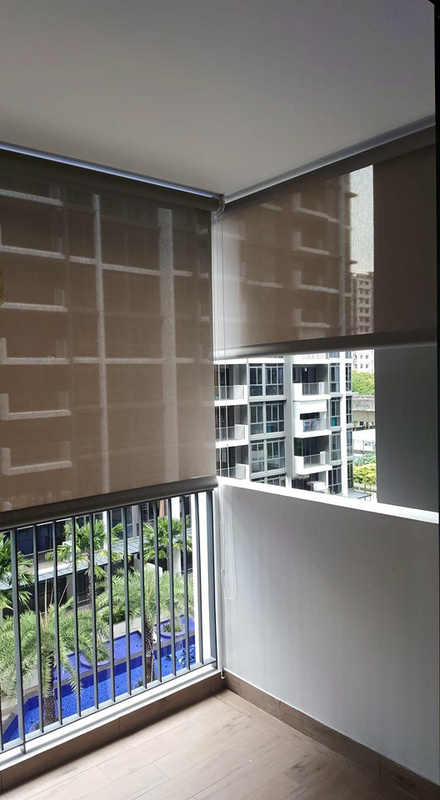 RENSON® offers truly wind-tight outdoors roller blinds, ensures a comfortable interior climate, reduced glares, and uses “Smooth technology” for uncomplicated blinds operation. RENSON is a Belgium company with over 109 years experience in this industry. 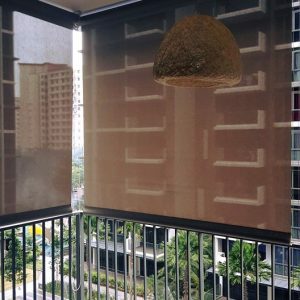 ALTEX is the revolutionary motorised outdoor zip blind, proudly manufactured in Singapore, that offers superb wind resistance, cool air retention, as well as high UV and heat protection. All ALTEX Blinds are powered by SOMFY Motor. 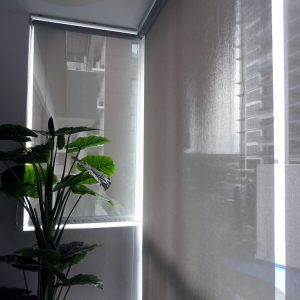 mc.2 has a stellar reputation built on our delivery of top-notch blind solutions using the best quality materials, styles and fabrics. We are dedicated to providing extra attention with our installations and offering you a 5-year assurance of our excellent service. 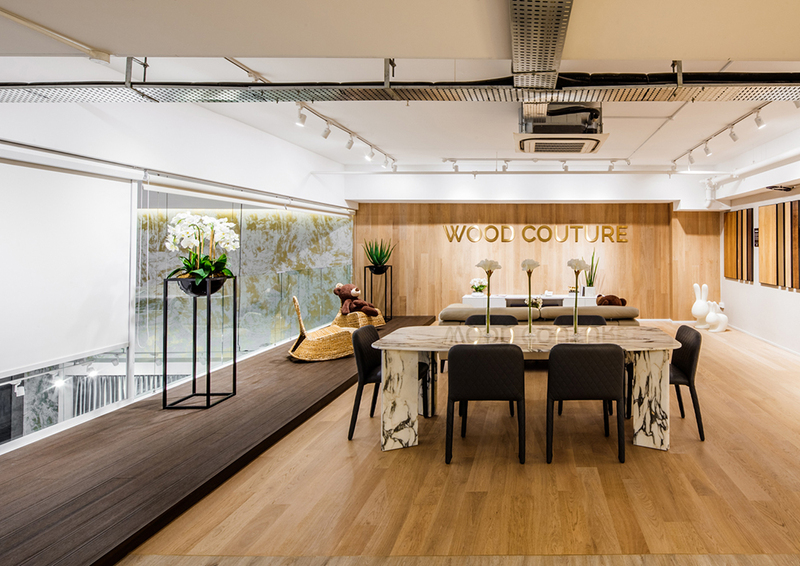 Our one-stop shopping space at MC.2’s 4200 sq. ft. showroom makes choosing your home solutions -- from blinds to flooring -- an experience well worth it. At mc.2, we’re here to ensure that you make the right choice.